THE ROCK AND ROLL HALL OF FAME is in the process of deciding which performers are ready to join other great singers and musicians in the Rock Hall of Fame and Museum in Cleveland, Ohio. Although most of the votes come from a select group of music insiders, FAN VOTES from music lovers like you can make a difference in the final total. The RockHall FAN VOTE season is here. You can pick five of your favorites from the current crop of 15 nominees. Hurry to make your voice heard. 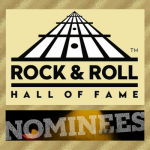 NOVEMBER finds GreatGold Internet Radio Spotlighting 2019 Rock and Roll Hall of Fame Nominees for induction into the RockHall and Museum at Cleveland, Ohio. 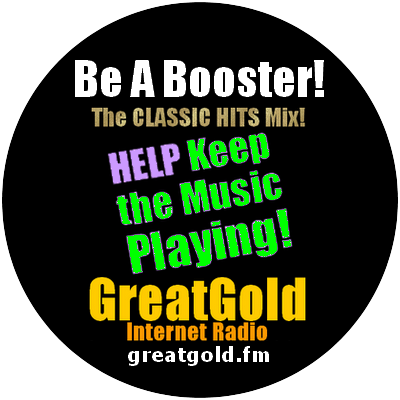 In addition to including the new crop of nominees to the Rock and Roll Hall of Fame in the GreatGold mix this month, we’re also giving November Extra Plays to GreatGold music library artists born in November during years gone by. See the list on our front page. Rock and Roll Hall of Fame Nominees: Def Leopard, Devo, Janet Jackson, John Prine, Kraftwerk, LL Cool J, MC5, Radiohead, Rage Against The Machine, Roxy Music, Rufus featuring Chaka Khan, Stevie Nicks, The Cure, The Zombies, and Todd Rundgren. Lovers of Rock and Roll can make their choices known by voting online. Follow this link to make your FANVOTE at RockHall.com. BY LOGGING IN TO VOTE or providing your email at the RockHall FanVote Page, you will be among the first to receive the announcement on 2019 Inductee winners, and be registered for the Rock Hall’s e-newsletter and other promotional communications. You can visit rockhall.com/vote to cast a ballot daily. The top five artists, as selected by the public, will comprise a “fans’ ballot” that will be tallied along with the other ballots to choose the 2019 inductees. Fans will need to login to vote. Voting is capped at one ballot per day.